Technics Oil and Gas Limited has been awarded its 3rd leasing contract worth S$17.3 million. 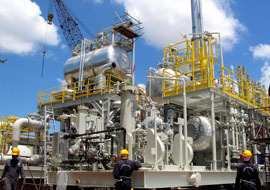 It involves a 5 years leasing and maintenance contract for 5 units of Gas Compressor equipment as well as 1 year plant maintenance contract (with an option to extend for another 2 years) in Indonesia. Despite strong competition from other international competitors, the Group was eventually selected due to its excellent technical proposal, experience and proven track record in the related field.